The Genius Hour Guidebook has a great “Frequently Asked Questions” section. Here are a couple of sample answers and a list of the other questions Gallit and Denise address in the FAQs. We don’t use the typical definition of genius that takes into consideration only a number on the Stanford–Binet Intelligence Scale. Instead we turn to the Latin root of the word genius meaning “generative power” and “producing.” Children are generating something new, something innovative. They are producing something for their own purposes. They are creating their own projects and bringing things into being that were not there before. They are being creative and productive. In our view, they are being and sharing genius. And, of course, you can call Genius Hour whatever you and your students like. It’s the process of authentic learning that is important, not the name. ► Why do we need to teach creativity? Aren’t people just born with it or not? Sir Ken Robinson explains in The Element that when someone doesn’t know how to read and write, we don’t assume they are incapable of literacy. Instead we know that they haven’t yet learned how to read and write. In a similar manner, he explains, when students aren’t creative, we should not assume that they are incapable of creativity. We should know they just need to be taught. We strive to nurture and grow creativity during Genius Hour. ► Don’t we have enough to do with the Common Core and other mandated standards? Of course, there is always so much to do, but to take learning to the next level, which is just what the Common Core is asking of our students, we need learning experiences like Genius Hour. Genius Hour is the perfect way to lead students to new learning. Students love learning about the things they wonder and care about, and this leads to learning with purpose – a much more authentic learning experience. Students flourish when they belong and have freedom and fun in their learning. We have found that when students are empowered they make good choices and enjoy learning. Genius Hour is an excellent way to practice and master many of the Common Core State Standards, or other district, state or provincial standards. See Chapter 6 for some examples. ► What is the teacher’s role during Genius Hour? ► Who should teach Genius Hour? ► What are some of the projects that students do during Genius Hour? ► What if a student just wants to be a helper with a classmate’s passion? 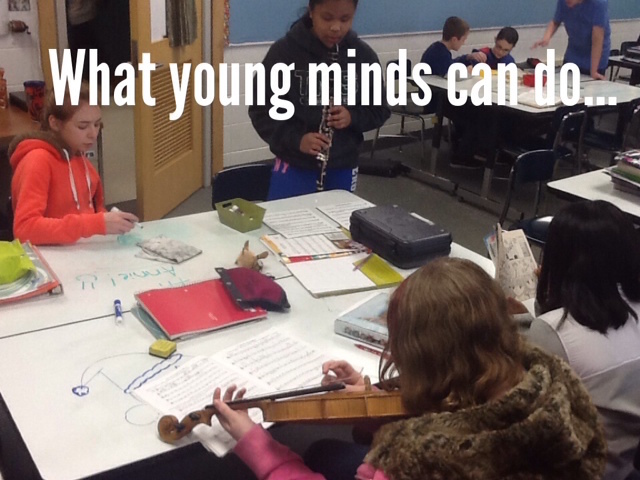 ► Can I use Genius Hour as a reward for worthy students? ► What if students like my assignments better than their Genius Hour projects and would rather work on my engaging class projects instead? ► What are some ideas to get administrators on board for Genius Hour? ► How can we get parents to buy into Genius Hour? ► What about Genius Hour in the primary grades (K–2)? ► I teach at a high school. Could I try this there, too? ► Should we really take our educational cues from the corporate world? ► It seems like Google has begun to rethink giving their engineers 20% of their time to work on their own innovations because limited marketable or “genius” projects result. Why should we continue to do it in schools? ► What about Genius Hour for educators? Our 6th grade started genius time this year and it has been great! We also created a maker space and this has been a great incubator for kid’s ideas. We see kids connect with school in a new way. We have to kick them out at night! I hope we can continue to grow our program and make it a permanent part of our learning culture. This is so great! Thanks for sharing Scott. I love the connection with a maker space! Denise and Gallit, you know I’m in full support of all of these ideas – I’m so glad you wrote the book refuting myths and struggles for all those “Yes, but” people out there! You know I loved reading the PDF, and would love to share the actual book at Genius Hour workshops. Congratulations once again! Thank you, Joy! And thank you for creating the LiveBinder (tinyurl.com/ghlivebinder) — I share it with teachers new to Genius Hour all of the time! I am excited about Genius Hour with my kinders. I find that I am struggling to meet their individual needs throughout this process. I am looking for suggestions. In a kindergarten class, how do you manage 23 ideas for learning? Do you use a buddy class? Or research one idea at a time? Thank you for all the time and effort you have put into creating this FAQ section. Even for people like myself that I have done genius hour with my students, it is great to have answers to these questions in writing for my own confirmation. I would love to share this book with other teachers in my building! I have shared info about genius hour following each edcamp. Admin seems to be concerned with misc clutter that may accumulate in the classroom. Really! Way to spread the Genius Hour love at edcamps! I hope the clutter issus doesn’t have to be a concern for you. I had to smile at your Really! comment. I agree, wow, that’s actually a new concern I hadn’t even heard before. I’m thankful I have had administrators over the years that have not worried about my clutter. Yikes! Hopefully that will get resolved with all the awesome things they see happening in the development of LEARNERS! Maybe there’s others out there who would want to share projects/ideas via some technology related avenue? I have wanted to implement a genius hour with my gifted students for sometime now. At my school, we are now implementing PBL, and the students will be involved in group level projects. I see the genius hour as a possible way for them to invest in the PBL approach individually, with the issues that they personally are interested in or concerned about. I totally agree! I think that your students would love it! Especially since they are used to PBL already. It would be a natural next step….please keep us posted about how it goes! And join our monthly #geniushour chat on twitter (info here: http://geniushour.wikispaces.com/ChatArchive). We have been dabbling in maker-space and PBL this year in our 5th grade team. I see genius hour as a way to keep getting students to look at their own passions and pursue ideas they are interested in. So far, most of what we’ve done has been more teacher involved. I’d like to see my students push themselves more. Genius hour may just be the way to do that. I am a teacher librarian that has been working on developing a makerspace and creative space in our learning commons with students. I’m excited to begin exploring genius hour with my students. I think that this would be a great entry point to build on ideas and interests of our students. I am in a K-8 school. I would be interested in developing Genius hour for not only Grade 7/8 but also integrated genius hour with primary and junior teachers. The Learning commons would be the central hub to begin exploring student interests for Genius hour and bring them into the classroom. Many of the teachers in our division are experimenting with Genius Hour and Makerspaces. It’s been a learning curve, but a welcome one. Thank you for sharing some great ideas and resources! I am incredibly excited to “rip off the band aid” and start an genius hour with my fifth graders. We have discussed the concept and the kids were thrilled to be in control of what they were going to learn about. Personally I can’t wait to step back and watch what the students explore their passions. However, I am slightly apprehensive about being able to provide the appropriate technological avenues for presentation of their new learning. In addition, there is the “big elephant” of assessment. I am beyond relieved to see that there are some rubrics available.